I think I did pretty well for myself this Black Friday. 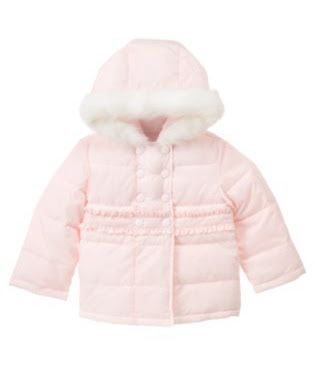 Vivi scored a puffer jacket for $11.25 from Gymboree. So did the boys. Two more Gymbo puffers for $11.25 each. 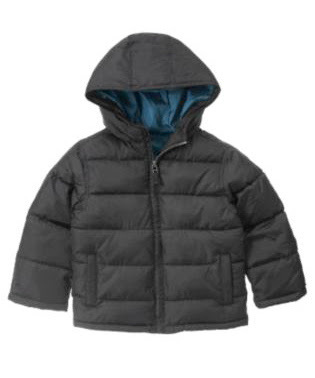 I have a feeling we’re gonna need these around here this winter. 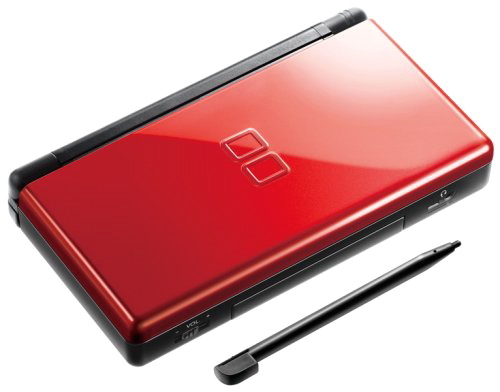 And then one unnamed lucky duck will be getting a Nintendo DS Lite for $98. My sister and I struck a deal in which I’d go to my W@lMart and get an item we both wanted for our kids. And she’d go to hers and do the same. Turns out, she waited in line at her WalM@rt for an hour and a half to fulfill her end of our deal. And then had to get rowdy with the cashier who wanted to limit her purchase to one. Let’s just say, my sister won. And this was my half of our Black Friday deal. I headed to my WalM@rt at midnight and waited in line for an iTouch for me, and an iTouch for her, each with a free $50 iTunes card. Only difference? I waited approximately 4 minutes. And did not have to tangle with the cashier when I asked for 2. Sorry, sis. Hope you got a nap in. And in a highly unusual move, I actually bought something for myself. I know. I’m still shocked. But I could not pass this up. It’s something I’ve been wanting for many months. Regularly priced at close to $300, it was an hourly special at Am@zon.com today. I got it for $124.99. If you found it somewhere for cheaper, please do not tell me. Allow me to enjoy my Black Friday victories in peace. So glad to hear you got something for yourself! 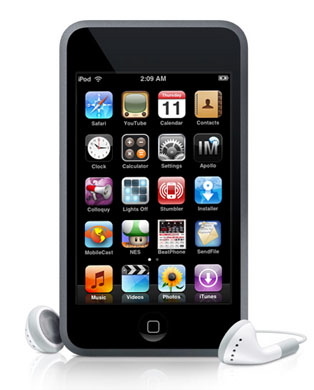 That iPod Touch will really come in handy during your travels. 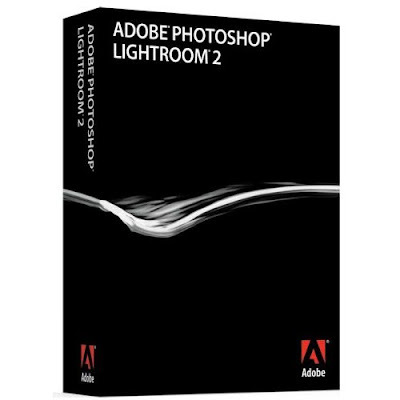 And wow – what a Lightroom deal. Wow, some amazing buys. Enjoy the victory spoils. Great deals! You're gonna love LR2. It's my favorite photo editing program now. I don't know how I lived without it all these years! Great deals! Hope you had fun. All great deals! And your LR was a steal. It is about that price for educators which is about as low as you can find it. I also have a touch and love it! So good job!